Since 1985 Ron’s Guide Service has been providing professional and affordable wildlife experiences to outdoor enthusiasts from around the world. Go hog wild! Literally! On our famous Florida wild boar hunt or come face to scales as you go after the alligator of your dreams on our thrilling Florida alligator hunt. 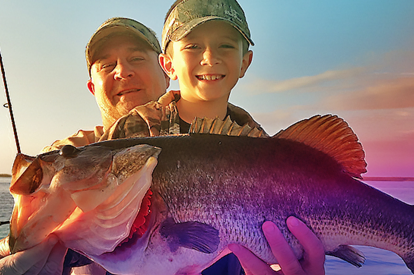 Our Florida bass, bluegill, crappie, and shellcracker fishing was one of the very first services we offered and to this very day we have helped over 20,000 guests achieve their dream of catching a Florida big mouth bass!